I think my boyfriend is scared if I move in with him, because I've got a wishlist set up just like this! I'd have cushions every where. I am obsessed with little jars like that! I actually pop candles in them or paint them with stein glass! Makes such a good little feature, or as a prezzie for Christmas filled with sweets :) love this ebay list - it's actually nice to see one for props instead of clothes! I think this is your best eBay basket yet! I love everything! 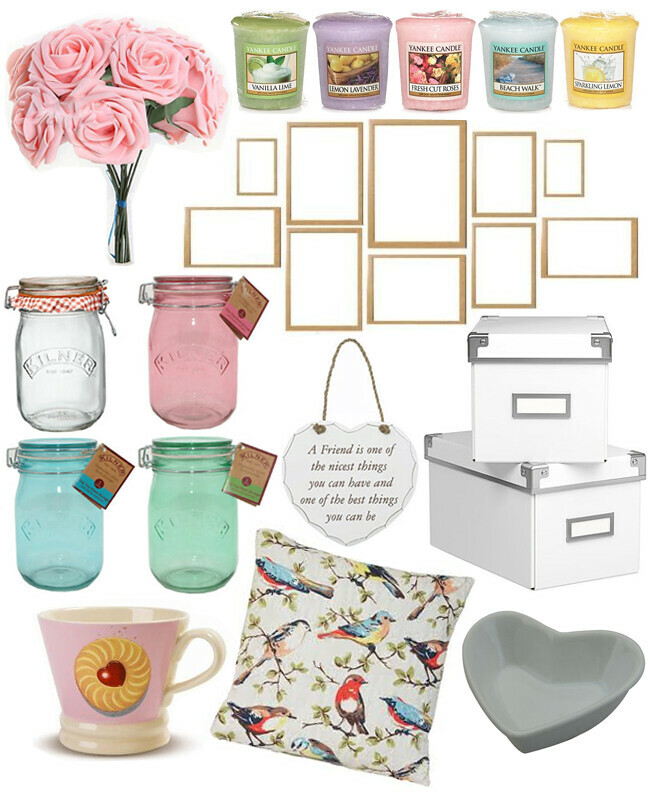 I love your eBay home wish lists, I love those jars! I love all your ebay posts but i'm especially loving home interior at the minute so this is perfect! LOVE that jammie dodger mug! I recently purchased lots of the Yankee Candle tarts from that shop, their delivery is ridiculously fast! Ooooh this is a much-needed post for me, I'm moving house soon and looking for cute home decor things! Those flowers are so pretty, as are the jars! Great finds, love the dish and the deal on 2 of those jars for £10 is amaaazing! Love the jars and flowers! They are lovely.